Welcome to the eleventh installment of the Haunted Montreal Blog! Released on the 13th of every month, the March edition focuses our research we are carrying out into St. John the Evangelist Church. 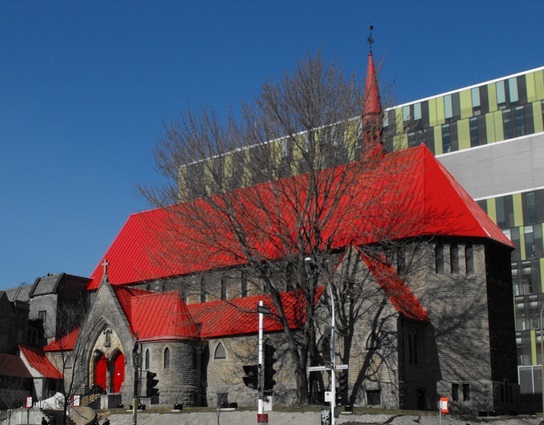 Located in the heart of Montreal’s Entertainment District, the Quartier des Spectacles, the Victorian building is also known as the Red Roof Church. Tourists wandering around Montreal’s Place-des-Arts area are often struck by an old, Neo-Gothic stone church with a striking red roof, seemingly out of place among the more modern architecture in the vicinity. With its rugged look and ecclesiastical vocation, St. John the Evangelist Church is definitely an anomaly in the bustling new Entertainment District. Erected in 1878, the venerable Red Roof Church is certainly the oldest building in the area, which is presently undergoing a 21st Century construction boom. As glossy new theatres, cinemas and performances venues go up, St. John the Evangelist Church remains firmly planted on the corner of St. Urbain Street and President Kennedy Avenue. It is both an architectural reminder of an earlier era and a fully-functioning Anglo-Catholic Church, which continues to serve its congregation and operate a drop-in center for the needy. What the tens of thousands of tourists streaming past during the festival season likely don’t realize is that the Red Roof Church has long been rumoured to be haunted. St. John the Evangelist Church is unique in Montreal. Built from 1877-1878, dedicated in 1878, and consecrated in 1905, the Red Roof Church was designed by architect William Tutin Thomas, in consultation with Rector Edmund Wood, the founder of the parish. Wood had studied churches in England and his vision was central to the construction of St. John the Evangelist. The style of the Victorian church is perhaps best described as “slum Gothic”, originally developed for the poor Ritualist parishes of London, England. Described as “muscular” and “big-boned”, the church was designed to be sensible and restrained on the outside, but robust in decoration and capable of “advanced ritual” inside. With services offered in Latin, a pipe organ and choir, and billowing incense, the Anglo-Catholic Church, or “High Church”, caters to those who have sometimes-controversial beliefs and practices within Anglicanism. Emphasizing the Catholic heritage of the Anglican religion and the differing identities of various churches, Anglo-Catholicism embraces ancient Catholic rituals such as Solemn High Mass, Solemn Evensong and Benediction. Some controversial worshippers also hope that the Anglican and Catholic churches will eventually reconcile and merge together. The church’s founder, Edmund Wood, was undoubtedly a remarkable man. Born in 1830 to a scholarly family in the south of England, he followed in his family footsteps as a devoted student. 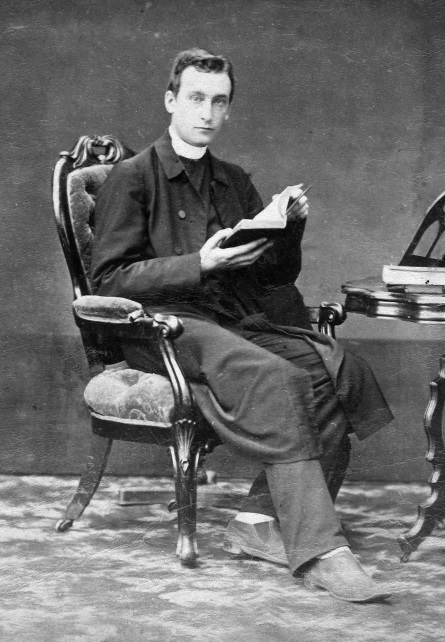 Following stints at schools in Brighton and London, Wood was admitted into the Ivy League at St John’s College, Oxford, in 1849. However, due to financial constraints within his family, he was quickly transferred to the less expensive University College in Durham, shattering his original dream to receive a world-class education. According to Wood, this unexpected situation caused “a wound which time will never wholly heal”. However, Wood ploughed through his studies and received his B.A. in 1854 and M.A. in 1857. He also became involved in Durham’s Anglican High Church, where he was made a deacon in 1855. He paid particular attention to the plight of poor and disadvantaged coal miners, which led to accusations of “popery” from some parishioners and raised the ire of his local bishop. Meanwhile, his family emigrated to Lower Canada and his father died in Montreal in 1857. Wood decided to follow his family and arrived in Montreal in November, 1858. Edmund Wood was not discouraged. The creepy mortuary was opened for church services and seats were provided free of charge. Wood’s pastoral work concentrated on the poor, prompting the congregation to grow quickly in size. Before long, there were twice as many people sitting outside, among the tombstones, as there were inside the mortuary. 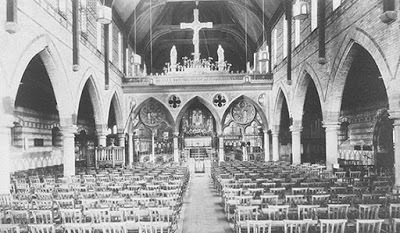 Wood, a lover of elaborate theatrical rituals, impressed his parishioners with the first choral evensong in Montreal, if not in Canada, on Christmas Eve in 1859. In 1860, he opened a school and assumed the role of teacher and headmaster. 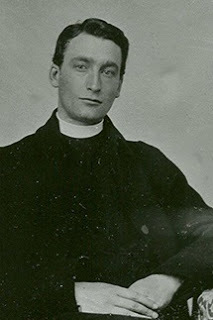 In July, 1861, Bishop Fulford ordained Edmund Wood as an Anglican priest, laying the foundations for his future work overseeing the construction and administration of St. John the Evangelist Church. That same year Wood founded Canada’s first Anglo-Catholic parish and the first Anglican “free seat” church in Montreal. The old system involved renting out pews, which provided income for the church but also allowed wealthy citizens to purchase the best seats. In replacing the pews with chairs, Wood advocated that the rich and poor should sit together at Church and worship as equals before God. By 1874, the mortuary was deemed too small. 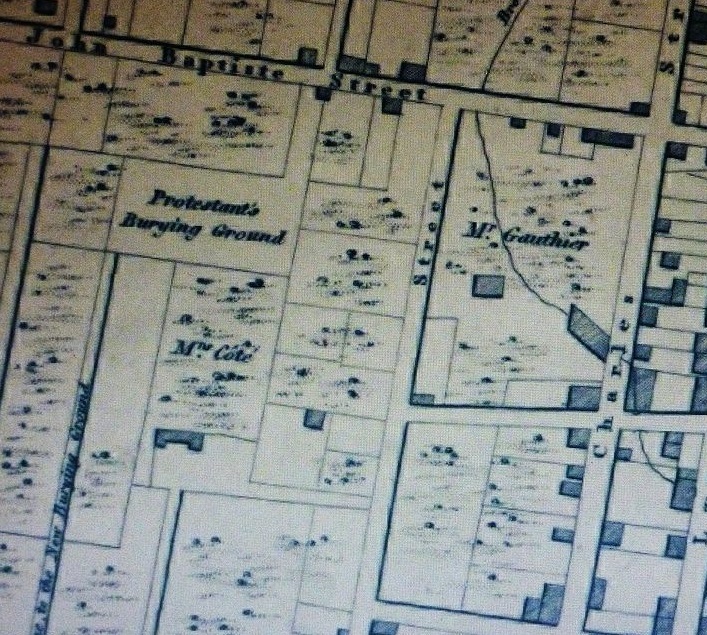 A lot was purchased at Saint-Urbain and Ontario Streets, and Edmund Wood got to work planning and overseeing his dream church. 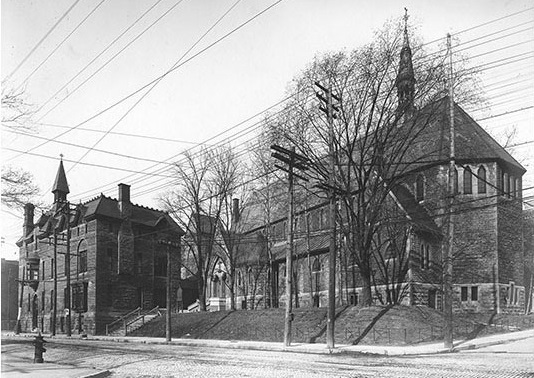 After many years of meticulous work, St. John the Evangelist Church was finally opened for worship on March 6, 1878. Wood instituted weekly and daily choral services and the ceremony of the liturgy was enhanced through a surplice-clad choir, altar candles, and a prominent cross erected on the altar. Wood’s love of the ritualistic would eventually lead to a conflict with Reverend Ashton Oxenden, Fulford’s replacement as Bishop in 1869. Oxenden was unhappy with the “mode of conducting the ritual of public worship in one of our churches,” and tangled with Reverend Wood over his unorthodox approach to the Anglican religion. Wood, never a person to compromise his ideals, responded with a publication entitled “The catholic and tolerant character of the Church of England”. During the church’s history, there have been many reports of benign hauntings inside the building. Parishioners speculate that the ghost might be that of the church’s selfless founder, Rector Edmund Wood. The spirit of the good rector is rumoured to still visit the Red Roof Church now and again to check up on the congregation. The ghost is not regarded as sinister, but rather is seen as a happy reminder that the church’s first patron, a passionate and visionary man, who still appears to be involved in the ministry. According to a Montreal Gazette article from October 26, 1985, the church has been haunted since 1909, the year Rector Edmund Wood died. The article cities the rector of the era, Canon Humphrey Slattery, who believed that Wood still visited the church sometimes, but that there was nothing sinister about it. On one occasion, Slattery was alone and praying at the altar when he heard someone enter the church and take a seat. The rector began to pray aloud, expecting a response from the worshipper, however nobody responded. When he turned around to see who was sitting there, he realized that the chair was empty and he was still alone. Today, the Red Roof Church is making an effort to fit in to the Quartier des Spectacles. Presently overseen by a rector named Fr. Keith Schmidt, the church continues to offer ritualistic religious services in Latin, English and French. St. Michael’s Mission offers free art classes every Thursday. Recognized for its heritage by the Conseil du Patrimoine religieux du Québec, the church has also appeared alongside Nick Nolte in the 1997, Academy Award-winning film “Affliction”, and was featured in the Quebec science-fiction television series “Dans une galaxie près de chez vous”. The church also rents out the building for various workshops, film-screenings and spectacles. It would appear, to the satisfaction of artists, that censorship is not an issue. For example, the Pop Montreal Festival advertised a film screening of “The Omen” at the Red Roof Church as a “Midnight Mass Church Screening.” They described the horror film as being about “the pint-sized spawn of Satan wreaking havoc over a powerful political family certainly contributed to its status as one of the greatest horror films of all time.” Furthermore, the screening was co-organized with The Miskatonic Institute of Horror Studies, a non-profit endeavour whereby “established horror writers, directors, scholars and programmers/curators celebrate horror history and culture while helping enthusiastic fans of the genre to gain a critical perspective.” Named after the fictional university in American horror master H.P. Lovecraft’s literary oeuvre, The Miskatonic Institute of Horror Studies, despite its dark mandate, was most welcome to use St. John the Evangelist Church for their activities. It is unknown whether or not the spirit of Edmund Wood visits when non-church activities are taking place, such as horror workshops and movie screenings. Those familiar with the ghost probably wouldn’t be surprised if the good rector did make an appearance: not only was Edmund Wood a fan of the theatrical, but he also insisted that absolutely everyone would be welcome in his church, a tradition that continues to this very day. Haunted Montreal’s public season of ghost walks is now over for the winter months, but private bookings for groups of 10+ are still available for all of our tours. For more information or to see which times and dates are available, please contact info@hauntedmontreal.com. Haunted Montreal is expanding for the 2016 season. Our goals are to reconfigure our website in order to improve it, to create a new box office system, to hire more actors and to have all of our tours available in both English and French. We plan to open our 2016 public season of ghost walks in May. For clients who attended a ghost walk, we invite you to write a review on our Tripadvisor page, something that is very helpful for Haunted Montreal in promoting its tours. For those reading the blog who want to stay updated and receive a new Montreal ghost story on the 13th of every month, please sign up to our mailing list. 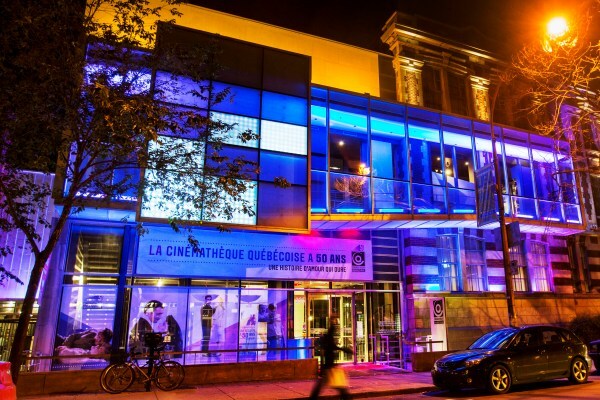 Montreal’s hip Quartier Latin neighbourhood plays host to numerous theatres, cinemas and cultural and educational facilities. Located in an old Catholic elementary school, La Cinémathèque québécoise is a government-funded film library that screens movies which were usually made in Quebec. A popular cinematic diversion in a bustling area, the facility is enjoyed by thousands of local cinephiles and tourists every year. However, despite the cinema’s jovial atmosphere, there are persistent rumours that the building is haunted by the ghost of a little girl. Janitors have reported seeing her on many occasions, and in 2005, the girl’s spirit was spotted by an employee in one of the projection booths, clutching a stack of school books. Could the ghost be one of the school’s former students, and if so, why is she haunting the building? 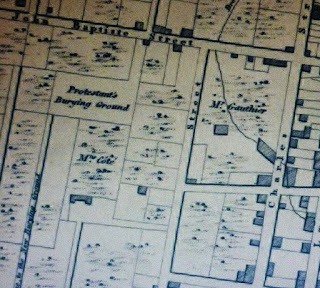 Au cours de l’histoire de l’église, il y a eu de nombreux rapports de hantises bénignes à l’intérieur du bâtiment. Les paroissiens pensent que le fantôme pourrait être celui du fondateur désintéressé de l’église, le révérend Edmund Wood. 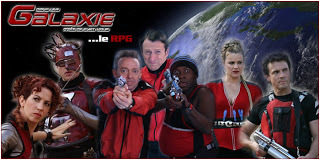 L’esprit du bon recteur est réputé visiter l’église au toit rouge, encore et toujours pour veiller sur la congrégation. Le fantôme n’est pas considéré comme sinistre, mais il est vu plutôt comme un rappel heureux du premier patron de l’église, un homme passionné et visionnaire, qui semblerait toujours être impliqué dans le ministère. Selon un article de la Gazette de Montréal du 26 octobre 1985, l’église serait hantée depuis 1909, l’année ou le révérend Edmund Wood mourut. L’article cite le révérend de l’époque, Canon Humphrey Slattery, qui croyait que Wood visitait toujours l’église de temps en temps mais qu’il n’y avait rien de sinistre là-dedans. À une occasion, Slattery était seul et priait à l’autel quand il entendit quelqu’un rentrer dans l’église et s’asseoir. Le révérend commença alors à prier à haute voix, espérant une réponse de l’adorateur mais personne ne répondit. Quand il se retourna pour voir qui était assis là, il se rendit compte que la chaise était libre et qu’il était toujours seul. Aujourd’hui, l’église au toit rouge fait des efforts pour s’intégrer dans le Quartier des Spectacles. Actuellement supervisée par un révérend nommé Père Keith Schmidt, l’église continue d’offrir des services religieux ritualisés en latin, en anglais et en français. La Mission St. Michael offre gratuitement des cours d’art tous les jeudis. Reconnue pour son patrimoine par le Conseil du Patrimoine religieux du Québec, l’église est aussi apparue aux côtés de Nick Nolte dans le film qui a reçu de l’académie le prix du meilleur film en 1997 « Affliction » et a fait une apparition dans la série télévisée de science-fiction « Dans une galaxie près de chez vous ». L’église loue également le bâtiment pour divers ateliers, projections de films et spectacles. Il semblerait, au grand bonheur des artistes, que la censure ne soit pas un problème. Par exemple, le festival Pop Montréal a annoncé le visionnement du film « The Omen » dans l’église au toit rouge comme une « projection sur l’autel d’une église sur le coup de minuit. » Ils ont dit que le film d’horreur traitant « d’un suppôt de Satan haut comme trois pommes causant la déchéance d’une famille influente de politiciens – a certainement contribué à en faire un des plus grands films d’horreur de tous les temps. » En outre, le visionnement fut co-organisé avec l’Institut Miskatonic d’études sur le fantastique, une organisation sans but lucratif selon lequel «des essayistes, des réalisateurs, des chercheurs et des programmeurs/commissaires reconnus dans le domaine du fantastique et de l’horreur qui célèbrent l’histoire et la culture du fantastique tout en aidant les amateurs du genre à aborder cet univers d’un point de vue critique. » Nommée après l’université fictive dans l’œuvre littéraire du maître de l’horreur américain H. P. Lovercraft, l’Institut Miskatonic d’études sur le fantastique, en dépit de son mandat sombre, était plus que bienvenue à utiliser l’église évangélique St. John pour ses activités. Personne ne sait si l’esprit d’Edmund Wood visite l’église quand aucune activité religieuse n’a lieu, comme lors des ateliers et des projections de films. Ceux qui sont familiers avec les fantômes ne seraient probablement pas surpris si le bon révérend faisait une apparition : non seulement Edmund Wood était un fan de théâtre mais il insistait également sur le fait qu’absolument tout le monde était le bienvenue dans son église, une tradition qui continue encore à ce jour. La programmation grand public des tours de fantômes de Haunted Montréal est suspendue pour la période hivernale mais des réservations privées pour les groupes de 10 personnes ou plus sont toujours possibles pour chacun de nos tours. Pour plus d’information ou pour voir quelles sont les dates et horaires disponibles, veuillez nous écrire à info@hauntedmontreal.com. Durant les prochains mois et en vue de la saison 2016, Haunted Montréal prévoit d’évoluer. Notre objectif est de reconfigurer notre site Internet afin de l’améliorer et d’y intégrer un nouveau système de réservation, mais aussi d’engager davantage d’acteurs et d’offrir tous nos tours aussi bien en français qu’en anglais. Nous projetons d’offrir notre programmation grand public 2016 des tours de fantômes dès le mois de mai. Nous invitons les clients qui auraient participé à un tour de fantômes à écrire un commentaire sur notre page TripAdvisor qui s’avère très utile à Haunted Montréal dans la promotion de ses tours. Pour ceux qui lisent pour la première fois le blogue et qui souhaiteraient rester à l’affût des dernières nouvelles et recevoir le 13 de chaque mois une nouvelle histoire de fantômes se rapportant à Montréal, veuillez-vous inscrire à notre liste d’envoi. Le Quartier Latin, quartier huppé de Montréal accueille de nombreux théâtres, cinémas et institutions culturelles et éducationnelles. Située dans une ancienne école élémentaire catholique, la Cinémathèque québécoise est une bibliothèque de films financée par le gouvernement qui projette essentiellement les films qui ont été réalisés au Québec. Distraction populaire de ce quartier animé, l’établissement est fréquenté par des milliers de cinéphiles et de touristes chaque année. Cependant, en dépit de l’atmosphère joviale qui règne dans le cinéma, il y a plusieurs rumeurs persistantes selon lesquelles le bâtiment serait hanté par le fantôme d’une petite fille. Les concierges ont rapporté l’avoir vue à plusieurs reprises et, en 2005, l’esprit de la jeune fille a été repéré par un employé dans l’une des cabines de projection, serrant une pile de livres scolaires. Le fantôme serait-il celui de l’une des anciennes élèves de l’école? et si oui, pourquoi hante-t-elle le bâtiment? Donovan King est historien, professeur et acteur professionnel. Fondateur de Haunted Montréal, il coordonne ses talents pour créer les meilleures histoires de fantômes possibles, que ce soit dans la qualité rédactionnelle ou dans la performance théâtrale. Donovan King détient un DEC en Interprétation théâtrale (Collège John Abbot), un Baccalauréat en arts appliqués (Arts dramatiques en éducation, Université Concordia), un Baccalauréat en éducation (Enseignement de l’histoire et de l’anglais, Université McGill) et une Maîtrise en arts appliqués (Études théâtrales, Université de Calgary). I spent many weekends at this church growing up the history and the names in this article bring back many memories. Great article…..